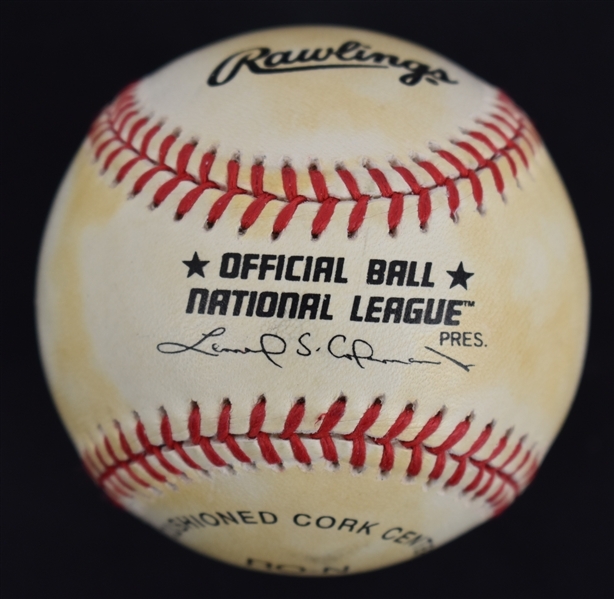 Official Leonard Coleman National League baseball signed on the sweet spot by famous astronaut Buzz Aldrin. 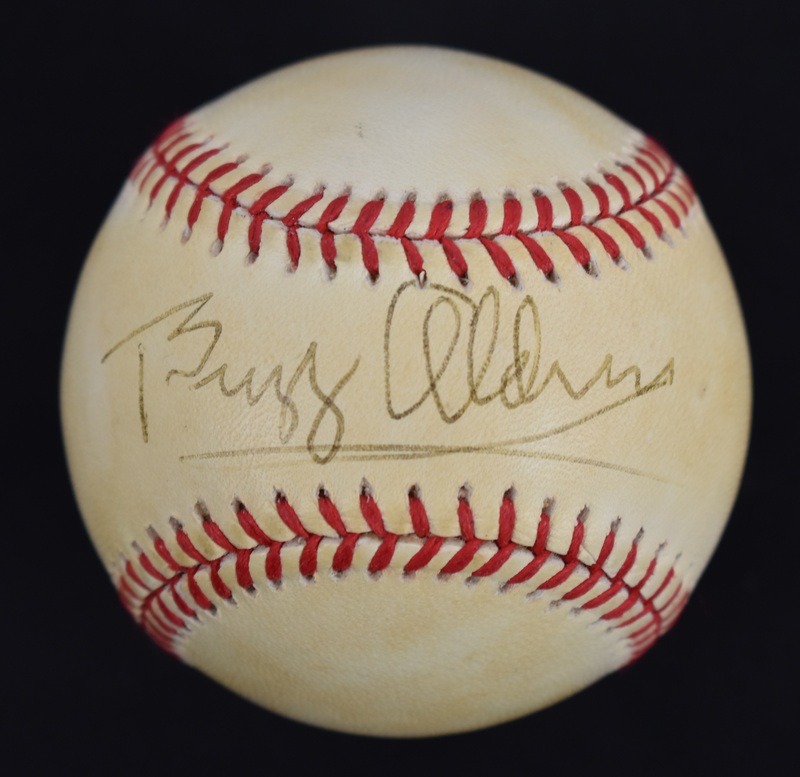 Extremely rare to see an authentic Buzz Aldrin single signed baseball. As lunar module pilot on the Apollo 11 mission, Buzz Aldrin and mission commander Neil Armstrong were the first two humans to land on the Moon on July 21st, 1969.